Do you like to grill or want your own smoker, but lack the space that is needed? If you do not have any area on a patio or deck for a smoker, then a backyard smoke pit is a great idea. 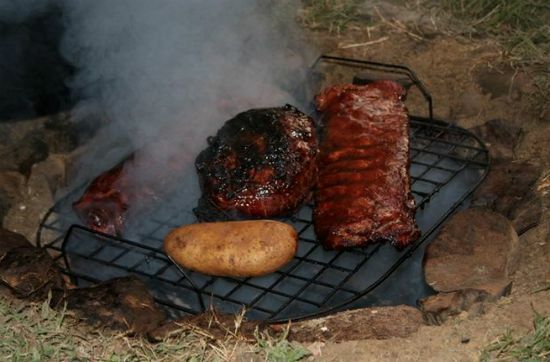 You can easily make your own smoke pit with a little effort and the proper tools. A shovel will be one of the most important tools to make your own smoke pit. The pit is a shallow hole in the ground that is lined with bricks and will have some rocks to drain away ash and water. One thing you need to keep in mind is to find a good cooking surface and cover for the pit. The best thing about being able to make your own smoke pit is you get to spend time outdoors. You can add any number of chairs or build benches for people to sit and enjoy a tasty meal.